Many of you younger cats may only know the late Roy Orbison from his stint with the Traveling Wilburys, that supergroup that also included Bob Dylan, George Harrison, Jeff Lynne, and Tom Petty. Songs like “Handle with Care” and “End of the Line” were radio staples in the late 1980s and early 1990s (and often included each musician singing one or two verses of the song). And while each band member had a unique vocal style, there was none that could croon quite like Orbison. In reality, this success late in life was minor compared to the bevy of chart-toppers that Orbison had from 1956 to 1964. He was a key part of the rock and roll’s early days and found himself with six singles peaking in the top five. Below is a list of some of his more notable works. Dare we say “best”? This stunner starts with stabbing guitar and drums then tells the tale of a lovelorn youth, afraid that his girlfriend’s former love will return and take her away. The song adds layers of guitar, drums, bass then backing vocals then, just when you think it’s about to peak, “Running Scared” turns down the anxiety via a softer bassline leading into Orbison’s fantastic ending line: a staggering “A over middle C,” sung naturally, not falsetto. That may be why this one peaked at number one. Wow. Topping out at number 30 on the Billboard charts circa 1961, this B-side to the bigger hit “Crying” is a rock-solid blues tune, including the requisite blues harp riffs and pentatonic guitar noodling. If you only know Orbison as a balladeer, this tune is a good introduction to his mastery of another genre. With stops sprinkled throughout and perfect backing vocals, this track could just as easily have been released by the legendary B.B. King. Speaking of the blues, here’s another knockout, a Claude Demetrius number first released by Elvis Presley for his movie Loving You. Jerry Lee Lewis, Cliff Richards, and Steve Winwood all did covers but it’s Roy’s version that really sticks with you featuring as it does his ability to purr like a cat. Meow indeed. Let’s not forget his contributions to rockabilly as “Ooby Dooby” can now be classified as a model of this musical style. Nowadays, this rocker may sound derivative but a more accurate description might be to say it’s as pure a distillation of the genre as you’re gonna get. Folkies like Creedence Clearwater Revival and singer-songwriter Elizabeth Mitchell have taken a pass at it but no one comes close to Roy’s version yet. The lyrics are simple as they go into detail about the titular dance and how to perform its required moves which involves a lot of wriggling. “I Drove All Night” was originally written by Billy Steinberg and Tom Kelly for Orbison but first released by Cyndi Lauper on her third solo album A Night to Remember. The song was posthumously released on Orbison’s King of Hearts via a Jeff Lynne remix of an Orbison recording from ‘87. 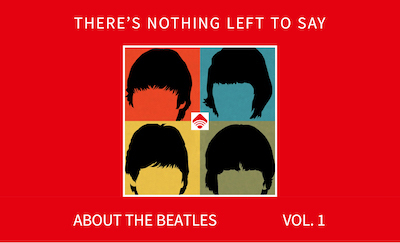 The Brits recognized the genius here as this version reached number seven in the UK. You know Orbison was feeling this one as he co-wrote the lyrics. With its rich orchestration featuring timpani and strings, “Crying” reached number one on Cashbox, the Canadian rival to Billboard, and number two on Billboard itself. Just before his death, Orbison recorded a duet version with k.d. lang for the Hideout soundtrack. The accolades keep coming too: In 2002, the song earned a Grammy Hall of Fame award; in 2010, “Crying” was ranked number 69 on Rolling Stone’s “500 Greatest Songs of All Time” list. A late career hit for Orbison from his album Mystery Girl, the song features the songwriting and singing talents of Tom Petty and Jeff Lynne, two of his pals from the Traveling Wilburys. Performed live at the Diamond Awards Festival in Belgium on November 19, 1988, 17-days before his death, “You Got It” eventually rose all the way to number one on Billboard’s Adult Contemporary chart. Anyone who’s watched movies and TV shows set in the 1950s knows this tune. Orbison’s first major hit may have only made it as high as number two on Billboard’s charts but its number one in terms of capturing an era. Thank goodness Elvis and the Everly Brothers both turned it down. With vocals in “the front” and rhythm in “the back,” this number set the template for Orbison’s trademark sound and for that we’re eternally grateful. Fab Four fans take note: “Dreams” was a recurring part of Orbison’s set list when he toured with the Beatles. David Lynch fans listen carefully: The song was re-recorded for the Blue Velvet soundtrack. Whichever version you prefer, it’s still quintessential Orbison, showcasing his three-octave vocals and reflecting a preoccupation with lovelorn introspection. Orbison once noted that the structure and sound of this song came to him when he was half-awake. The next morning, he woke up and wrote it in 20 minutes. What did you do today? This is his masterpiece. Co-written by Orbison and Bill Dees (“Sixteen Tons,” “No Rest for the Wicked”), this sensational single spent three weeks at number one. 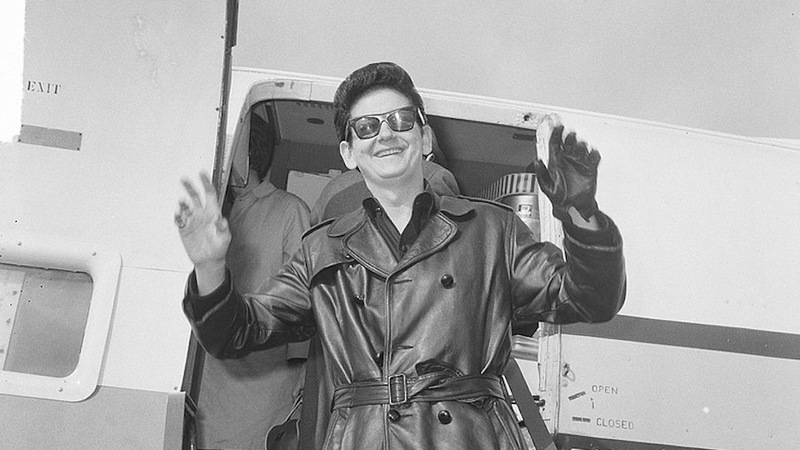 Decades later, Orbison won the Grammy for Best Male Pop Vocal Performance for performing it over twenty years later as part of his HBO special Roy Orbison and Friends, a Black and White Night. No small wonder that “Pretty Woman” is now preserved in the Library of Congress’ National Recording Registry. It’s as timeless as you can get. Will Wills — a native-born Italian, raised in the US — does a killer impersonation of Mario (“a-letsa-go!”). Generally, you’ll find him frenetically bouncing between software development at a large US firm, leading a local dance/pop band, playing COD and watching MST3K. Yes, he’s sleep deprived, but you can follow his resulting incoherence at @WillrWills or his band at @WillsAndTheWays or his blog, "A Day in a Monkey's Life," if you’re suffering from insomnia, too.